There are 0 residential real estate listings for sale in Wausau. There are 0 commercial real estate listings for sale in Wausau. There are 0 vacant land real estate listings for sale in Wausau. There are 0 total real estate listings for sale in Wausau. Wausau retains a slower way of life. 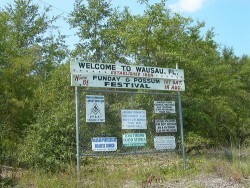 A primarily residential area with no large companies or employers, many of Wausau's residents commute to work everyday. Wausau's population primarily consists of retirees who enjoy leisurely activities like travel, gardening, and other recreational activities. Crime in Wausau is very low, adding a secure feeling to the community. The water system in Wausau is safe and nearly all the town's roads have been paved. Currently, no public schools lie within Wausau's city limits. Wausau's last school closed in 1668; the land was donated to Wausau to develop a community center. It has since expanded to house a playground, the John Glen Baseball Center, and the Dalton Carter Rec Center. Wausau's Little League Program is very active, and with the grand opening of the George Rogers Sports Multiplex, residents anticipate men's and women's softball leagues and tournaments returning. For other recreational activities, the various sports and athletic centers provide a variety of opportunities. A walking trail leads around John Glen Baseball Center, and Dalton Carter Rec Center offers tennis and basketball courts and a park for children. The George Rogers Sports Multiplex also offers trails for walking and biking, two baseball fields (regulation-size), and courts for shuffleboard. Wausau sits atop a sandy ridge between the Snake Hold Wetlands to the west and Reedy Creek Wetlands to the east. Only one small hill dots the smooth, flat landscape of Wausau; located at the north side of town, the Memorial Gardens of Wausau sits at its peak. Within the city limits four Christian protestant make their homes: Pentecostal Holiness, First Assembly of God, First Baptist, and United Methodist. These churches provide a number of outreach programs and ministries to the residents of Wausau. They foster and maintain the spirituality of the whole community via youth activies, revival crusades, and sponsorship of various community activities such as the Christmas Parade and Fun Day. Many other religious institutions lie in a five-mile-radius of Wausau, assuring all the spiritual needs of the town are met. Wausau's commercial pursuits consist mainly of small, family-owned businesses. Most of Wausau's working population communtes to nearby Marianna, Bonifay, Chipley, Panama City, or north into Alabama for work. Since Wausau is comprised mainly of retirees, few local jobs makes sense. The community of Wausau is awash in history. The timber and sawmill industries left long ago or evolved with the rise of technology, but the spirit and work ethic of Wausau's founders still breathe life into the town. Wausau remains a friendly, close-knit community where you can safely walk down the street and visit with neighbors without haste. Who wants to be anyplace else when in Wausau?